Every few years one needs a new sport to knock you off your feet, get you off the couch, give you a reason to show out these young bucks that come along and think they're all that. So now? 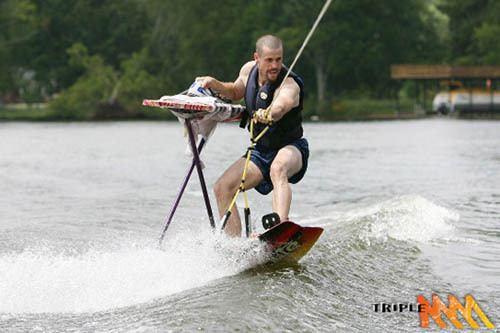 I've discovered Xtreme Ironing. Perfect sport for my age and curiosity level. I've been, well, a little humiliated trying to teach the youngsters to iron. 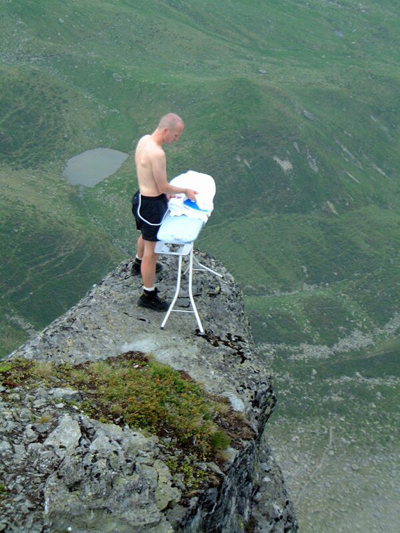 Nobody irons anymore. I mean really, you either throw the clothes out when they need to be ironed or you just don't buy them in the first place. Simultaneously, I've needed to come up with some new benefits to my travels. My husband has been showing signs of weariness when I say "Oh, but I must go on this trip....." He sighs. He wipes his forehead. He shakes his head, "Really. You must? And who will compensate you?" Well now. NOW I can add ironing to my list of the benefits of my travels. Hey, I might not get paid as in dollars for this trip (rolls eyes), but buddy, I'm going to iron ten pieces of your clothing.